Write down the 10 most important things in your life. How many of the things on your list are only important because they help you achieve or experience the other things on your list? Now, eliminate five things from your list. Feel free to re-word the remaining five items on your list. If you haven’t already done so, sort the remaining five things in descending order of importance. How much time and energy do you devote to the most important things on your short list? The important thing about things is that the ones that matter most aren’t even “things” at all. This entry was posted in Choices, Happiness, Priorities and tagged Importance, Priorities, Things on June 4, 2014 by Bob Dailey. PICNIC–Problem in chair, not in computer. “Way” back in the early 90’s when one of my jobs was desktop support, I referred to the same phenomena as a “nut on the keyboard” problem. At least 80% of the “computer problems” were actually human problems. It’s the same thing with Cesar Millan, The Dog Whisperer. Most “dog” problems are human problems waiting to be solved. Cesar spends most of his time “whispering” to dog owners. Cesar can’t call his show The Human Whisperer, even if that’s an accurate description of the service he provides. To do so would alienate the audience that he’s trying to help. The challenge with humans is that most of us would rather not admit that we are the problem. It’s so much easier to blame the computer, the dog, the airline, the car, traffic, evil Republicans, evil Democrats, government, the economy, our manager, our parents, our kids, society, the system. The list of excuses is infinite. The good news is that the solution to most of these “problems” is in the chair. This entry was posted in Courage, Curiosity, Dog Whisperer, Happiness, Personal Responsibility, Perspective, Success and tagged Cesar Millan, Fearless, Personal Responsibility, Priorities, success, The Dog Whisperer on October 15, 2013 by Bob Dailey. 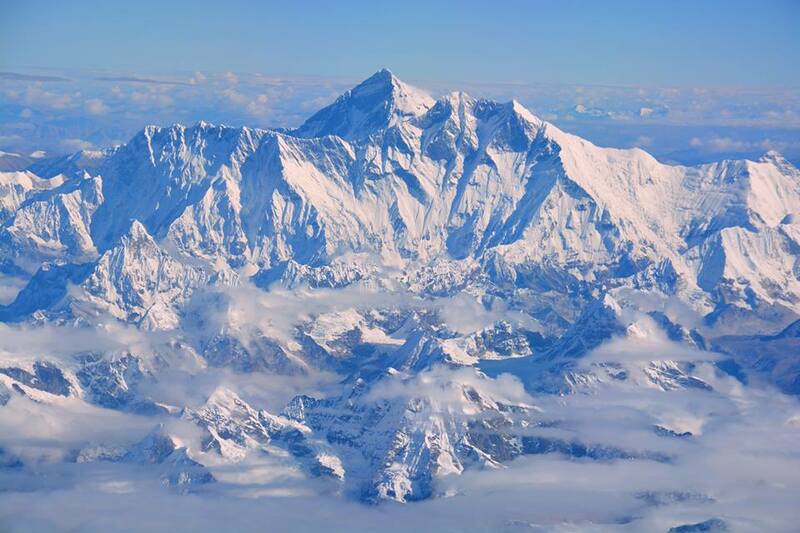 There it is…Mount Everest from the air. Each year, about 150-200 climbers attempt to reach its summit, 29,029 feet above sea level. There are thousands of other mountain peaks in the world, but Everest is the highest, and most challenging. Of course, from this angle it looks pretty tame. That’s the thing about mountains. Perspective is everything. Until you face a climb yourself, you can never fully understand what it takes. Watching others make the climb, or hearing their stories about what it was like, are no substitute for taking on the climb for yourself. Look around you. If you look closely, you’ll see that each of us are climbing a mountain. Some mountains are short and easy, while others are as high or higher than our friend, Mr. Everest. This is the point where I could wax on poetically about striving for the highest peaks in life, chasing ever higher summits, new vistas, and new challenges. Yes, do all of that. Don’t let anyone stop you…especially yourself. No, I’m not going to talk about the standard, inspirational mountain stuff. Instead, I’m going to talk about weight. When embarking on a climb, is it better to carry twenty pounds, fifty pounds, or one-hundred pounds of gear on your back? Obviously, all things being equal, less weight is better. Gravity is not your friend. How much weight are you carrying on your climb? Only the essentials? Anything extra? Are you carrying baggage that won’t be used? Why? Carrying all that extra baggage isn’t helping you reach your summit. What about your fellow climbers, especially those closest to you? How much extra baggage are they carrying? How much of it is yours? The best strategy for extra baggage (and its unnecessary weight) is to avoid packing it in the first place. Photo Credit: Alan Arora, who owes me some details on how he was able to be in the cockpit jump seat of an Airbus A319 at the perfect time to capture such a beautiful shot of Mount Everest. This entry was posted in Collaboration, Courage, Curiosity, Discipline, Happiness, Learning, Love, Perspective, Priorities, Simplicity, Success, Teamwork, Trust and tagged Curiosity, Fearless, Growth, Letting Go, Mount Everest, mountain, Priorities, success, teamwork on October 9, 2013 by Bob Dailey. The last mile describes the final leg of a telecommunications network. It’s the part that actually reaches the end customer. It’s often the most difficult and uncontrollable link in the network. This is where most of the bottlenecks occur. The simplest of networking processes can be complicated by the wiring and equipment in the customer’s home. Telecommunication networks exist to serve end customers. Without the end customer, there’d be no one to pay the bill, or finance the network’s creation and maintenance. The telecommunication provider has a tremendous amount of control over everything in their network…except the last mile, where the end customer is. The customer’s experience comes from the last mile. They don’t need to know or understand the engineering and infrastructure that goes into operating the massive network. They don’t care about the traditions and history of the telecommunications provider. They only care about the cost, speed, and ease of use they experience in their home. The same is true for nearly any business. The last mile drives the story your customers will tell. How much attention are you paying to the last mile? This entry was posted in Customer Experience, Customers, Perspective, Priorities, Simplicity and tagged Customer Experience, Customers, Priorities on October 3, 2013 by Bob Dailey. I don’t have time to think! I heard this phrase the other day. To be fair, the manager saying it was joking. However, about fifteen minutes into our discussion, her phone buzzed and she (almost compulsively) checked it. She looked up and apologized that she needed to respond. It would only take a minute. I don’t have time to think, I’m too busy responding. Have you fallen into this trap? Are you so busy responding that you don’t have time to think? Thinking takes time, energy, and discipline. Responding requires only two of these resources. Guess which one’s missing when all we do is respond. Discipline. Discipline is a choice. Discipline helps us consciously think about the world as it comes at us. Discipline provides the space to consider alternatives, and imagine new possibilities. Discipline helps determine if a response is needed at all. This entry was posted in Decision Making, Discipline, Patience, Priorities and tagged Discipline, Priorities on August 12, 2013 by Bob Dailey. If you’ve spent any time in an arcade, bowling alley, or Dave and Buster’s, you’ve probably seen a Whack-a-Mole game. The player uses a mallet to whack “moles” in the head as they pop up randomly from under the “ground” in front of them. The moles appear and disappear randomly, sometimes popping-up all at once, one-at-a-time, two-at-a-time, etc. The winner is the player who whacks the most moles in sixty seconds. It’s a simple game, and can be lots of fun. When multiple moles pop-up simultaneously, players have to decide which ones to whack before they all disappear. There isn’t much time to formulate strategy, or anticipate where the next mole will appear. It’s all about reaction time, and a bit of hand-eye coordination. 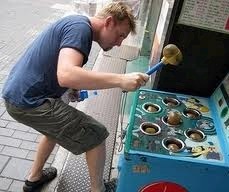 Whack-a-Mole is fun in an arcade. Unfortunately, many people live their lives like a huge Whack-a-Mole game. They’re always busy, whacking moles, and constantly on guard for the next one that pops-up. There’s no time to think. No time to strategize or find creative solutions. No time to ask for help. No time to address root causes…only time to react. It’s not important that the same issues pop-up over and over. It’s all about reaction time. If you’ve allowed your days to become a large Whack-a-Mole game, do yourself a favor. Put down the mallet. Look up from the game. Take time to think. Take time to prioritize. Chances are you’ll start to see beyond the urgent and put your focus where it matters most…on the important. This entry was posted in Decision Making, Perspective, Priorities, Success and tagged Important, Priorities, Whack-a-Mole on May 31, 2013 by Bob Dailey. The very definition of urgent requires one thing (the urgent thing) to be done before something else. If everything is urgent, which one is first? Prioritizing requires decision making, and risk taking. Your priorities are the things you choose to do, not the things you say you do, or wish you could do. Deciding not to decide is a decision…a risky one when it comes to prioritizing. Of course, it would be ideal if the things you’ve determined to be urgent are also important. The two don’t always go hand-in-hand, but should. 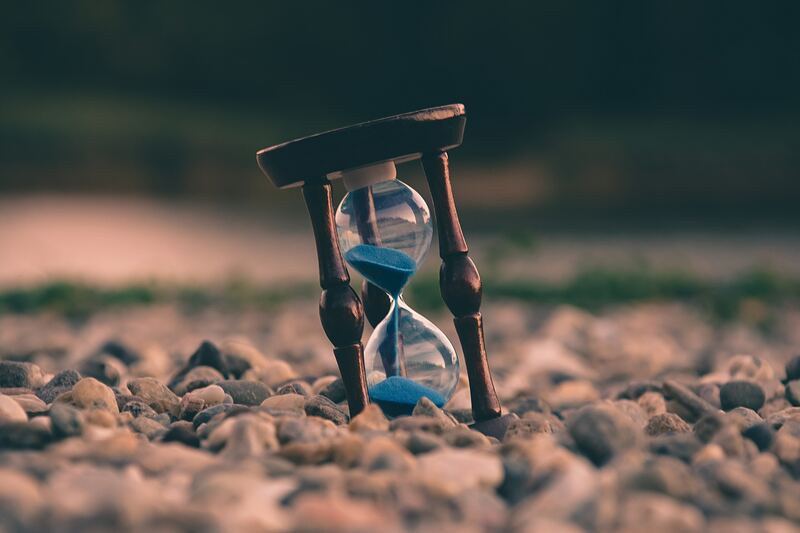 What’s really the most urgent priority for each of us? Actually deciding what’s important. This entry was posted in Decision Making, Priorities and tagged Importance, Priorities, Urgency on March 12, 2013 by Bob Dailey.